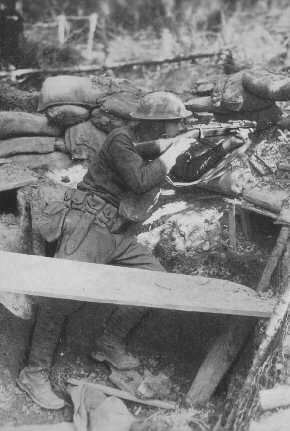 Intelligence Department, 127th Infantry, sniper. 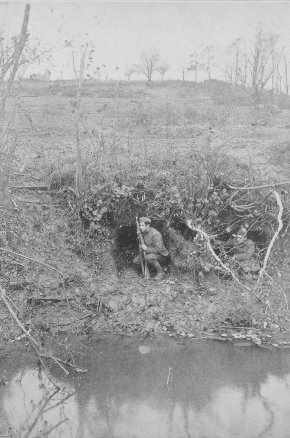 He is the champion marksman of the 127th Infantry, Company L. Dugouts on canal, with members of Signal Corps in former German position. La Forge Ferme, near Varennes-en-Argonne, Nov. 6, 1918.